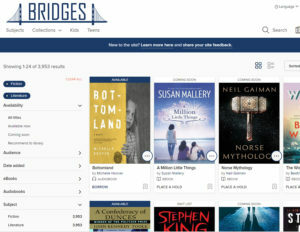 The WBPL provides ebooks through a consortium of most Iowa libraries called Bridges. Together, Iowa libraries provide access to about 10,000 electronic books and audiobooks that you can read on your tablet, ereader, computer, or smartphone and listen to on your mp3 player, computer, or smartphone. 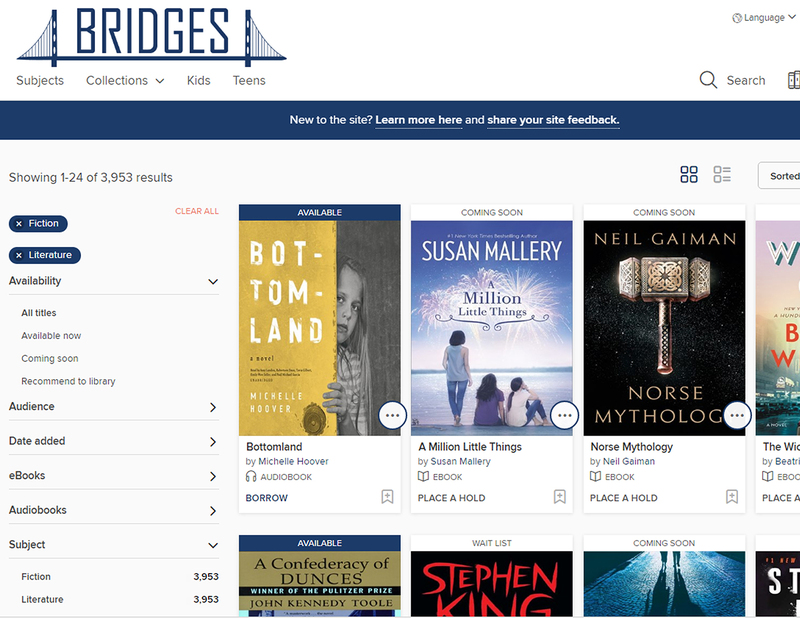 All residents within the city limits of West Branch and unincorporated parts of Cedar County are able to check out items from Bridges with their West Branch Public Library card. To use Bridges, you’ll need to log in using your patron ID/Barcode located on the back of your library card and your phone number as your password. From there, what you’re wanting to do and what device you’re using determines how you would go about using the service. There are already a set of guides available to help you learn how to use Bridges. However, we know that the initial steps can be confusing so are more than happy to help new users check out their first items at the library. We’ve walked through the steps with many people in our community and would like to help you too (that’s what we’re here for!). If you’d like help you’re more than welcome to stop in at any time at the library, but to make sure it’s a good time (as example, not during a large summer program) it probably wouldn’t hurt to call or email ahead first. Note, bringing in your desktop computer probably isn’t possible, so if you’re using a regular eReader (black and white screen) we’ll walk you through on our computers.